This month’s employee spotlight features our Project Manager, Jameel. He is more than deserving to to be recognized for the work that he does for this company. There is no doubt about it that Jameel works hard for our clients. Let’s take a closer look into what Jameel does as part of the Go Web Solutions’ team. He wears many hats. The first hat that he wears is important to the success of our client websites. He starts with the planning of the website to have a timeline of when each step needs to be completed by. Then he takes it a step further by implementing the timeline through website development. Jameel take the custom web design done by our graphic designer and turns it into website. He brings the website to life with hard work and coding. 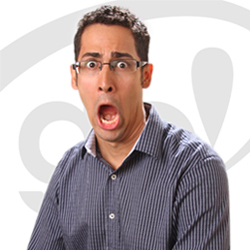 Jameel is the reason your website functions the way it does. To see those real life websites, visit our online web design portfolio. 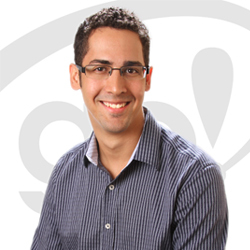 Jameel also wears the support hat for the company by working with our hosting customers. He spends the time to figure out any website or email errors that may arise and tends to them in a timely manner to get them up and running as quickly as possible. The last hat that Jameel shares with part of the team is the maintenance of a website. If you have changes that need to be made to your website to either update it or allow for it to function smoother, Jameel will be there to put the pieces where they need to be. Your website will feel brand new. One of the website projects he is currently developing is highly interactive with a search map function for three separate entities.With Jameel’s precise planning and expertise, this website is coming together perfectly to fulfill the client’s wishes. If you would like to own a custom designed website from Jameel, contact the team to discuss your design ideas at 520.664.2324 or alexis@gowebsolutions.com. You’re probably thinking to yourself, how does a blog about helpful tips in my industry relate to marketing and how can it help me? Well, let me ask you this, do you think our weekly marketing tips are helping you? If you answered yes, then maybe it’s time you put these tips into practice. If you want to reach your consumers, than you need to think like them. If you were in their shoes, would a helpful tip or bullet point list inspire them to try your product or service? Absolutely it would! We live in a society where there are literally thousands of people who can do exactly what you do. There are so many options to choose from that it can be overwhelming for the everyday consumer. Make it easier for them by teaching them how to use your product before they buy it or providing them with a tip that will make their experience better. The other component to consider is to make sure they see it! In a visually centered world, there is no room for boring content. 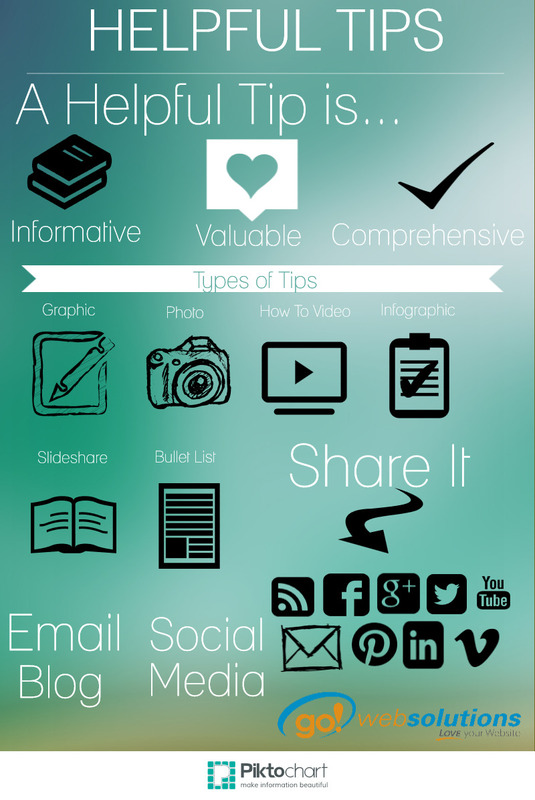 Make your list pop by adding a graphic or photo that relates to your tip, creating an infographic that easily navigates your bullet points, a video showing how to use it, or a SlideShare that catches attention. Try all the options to reach a broader scope of people. We understand that compiling and disbursing content can be overwhelming, that’s why we’re here to help with our internet marketing packages that will focus on drawing in new customers with powerful content ideas such as this one. Contact us for more information on how we can grow your online presence. What’s the purpose of your blog? Take the time this year to review and reevaluate what your target audience wants. Read through your blog as if you were your customer. Think about what you would want to take away from reading those blog posts. Is the point clearly stated or do you have trouble deciphering your own words? What does your blog reflect about your company and does it provide value to your readers? For this week’s marketing tip, we want to give you ideas for writing a blog post that will answer those lingering questions your customers want to know. Once you’re through with these steps, you will be writing in a way this year that will appeal to your readers. You will be writing about what you want your readers to hear, not what you hope they take away from your post. The first step is finding out what your customers want to know about your company, your business, or your product/service. The best way to do that is to ask them. You can find out what they want to know by writing a blog or by doing a survey or questionnaire. Another way is have an open forum on your website where people can leave their questions or comments. If none of these ways leaves you with the information you need, then do some digging. Comb through your previous blog comments, emails from clients, and take notes from your phone conversations to track the most common questions or concerns you receive. The second step after figuring out what it is most your customers want, is to formulate a blog topic that will not only answer their questions, but go above and beyond. Provide them with an answer that will knock their socks off by giving them something practical they can use or take away from the post. Most importantly, write the response in a way that gives them the answer YOU want them to hear. A blog post needs to be beneficial to both your customers and your company. You are taking the time out of your busy day to write the blog and you want it to be well worth it in the hopes of receiving new long-lasting business. The last step is making sure your target audience sees that you took the time to answer their questions and write a blog they actually want to read. It cannot be said enough to promote your blog! Post it on your social media, send it in an email, and mention it to others every chance you get. The best part is since your blogs all now provide answers to your customers’ questions, you can direct them to your blog every time they have a question that you have written a blog post about. Go a step further and send the blog to a past request for the answer to that question and see how surprised they will be to see you remembered. If you know what answers you want to write about, but need assistance in formulating them into a blog post, then check out our monthly blogging package that will provide you with custom blogs based on the topics you want to cover. When venturing into the social media world, there is always the added challenge of wondering how to build more followers. Building your audience is an essential step to reaching more people and gaining more business.Without your followers you are not going to get a large return on investment through using social media. It will have the same impact as you would if you were to tell all your great ideas to an empty room. So, how do you fill up that room with the right people? We are going to let you in on a few secrets that can bring more followers, page likes, and +1’s to your page. When using social media, you get what you give. Meaning, if you want other people to like or +1 your page, then find others who you want to connect with. Many times people will follow you if you follow their page in return. In that same regard, people who follow other businesses may find your business and want to connect with you because they trust that company. If you follow an industry leader and engage with them, you will open the doors of opportunity to bring in new followers and new business. The same will be true if you connect to other business professionals in your community that you can send and receive referrals to one another. Whoever you choose to follow, the key is find people who you believe will bring value to your business, whether it be a new lead, a business connection or someone who will enhance your social media presence. Get your name out there by joining different groups that will either be made up of your target audience, in the same industry as you, or offer networking opportunities. Think in terms of how these groups can generate leads. If there isn’t a group that will fit what you’re looking for, then create your own and invite current customers, business connections, and industry leaders. Each social media site has a different name for these groups, but they all offer the same significance to you in getting connected and broadening the scope in which your content can be shared. Tell people that you have a Facebook, Google+, Twitter, LinkedIn, or Pinterest account. It’s as simple as that. There are many ways for someone to say “Like us on Facebook” so don’t be afraid to use different tactics. We find the best way to advertise that you have a specific social media account is to make it known on your website with social media buttons that they can click on and open to your profile page. What could be easier than that? Another highly successful approach is by adding those icons to all of your marketing materials. The Twitter bird is universally recognized and when adding it to your business cards, commercials, brochures, or billboards, you are requesting people to follow you. Why not utilize the blank space on your marketing to advertise another way for your future customers to connect to your business? With these three secrets to building more followers, you will be able to ring in the new year with more followers than before and expand your business leads. If you need help building more followers, contact the team at Go Web Solutions to manage your social media sites and you will see an increase in your ROI in no time. 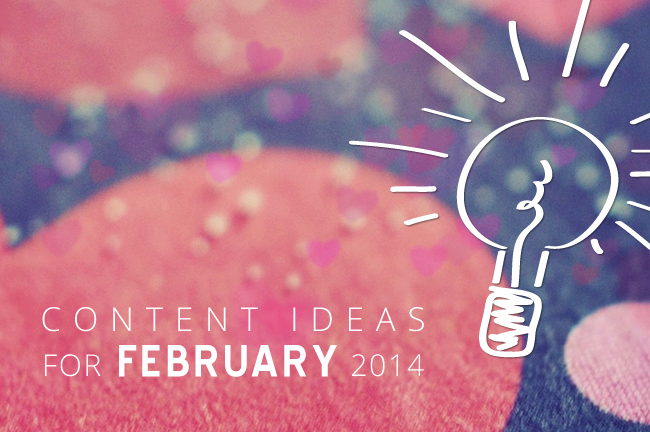 It is that time of the month again where you can come to us to find content ideas for every day of the month. This month is even more powerful than before with close to 300 ideas to choose from, there is sure to be something for everybody! Take advantage of these national days as a way to market your business, whether you offer a sale or just mention another reason for them to choose your business, you are still adding much needed content to your blogs and social media to create more presence. Not every idea will suit your business, so don’t be afraid to do some exploring this new year and be creative with the ideas that present themselves. Add your own unique twist to the idea and make it your own. Remember to leave us a comment on additional ideas you have or a great way to expand and promote one of the ideas listed below. Involve another person in your content by interviewing someone in your industry who is a known expert and has a lot of clout. Ask them the questions that most people ask you to get their perspective on the topic. Get some powerful reusable quotes from them that can help fill up your content. Ask them their expert advice. 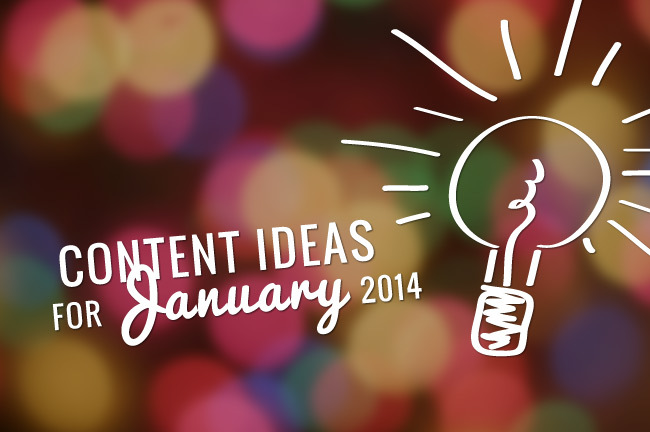 This content idea is similar to having a guest blogger except you get to interact with them. Make it a dual partnership by asking to interview someone from out of state in the same industry who is not your competitor. Take turns asking questions where you both have content to write about and can link each other’s responses to your blog and social media. Your audience will see the connection you have with this expert and how they respect your ideas as well. Read a book related to your industry. As you read it take notes and highlight key phrases and concepts. Once you’re finished reading this book, write a review of it with both the main idea of the book and your personal opinion on why it depicts your industry the way it does. Make corrections as you see fit or highlight a certain section that says exactly what you have been saying all along. If you are feeling really eager, read two books on the same topic and compare them. The best part about this idea, is that it never gets old and you can set this idea up as a weekly, monthly or yearly content idea. As we head into a new year, there are sure to be changes within your industry whether they are good or bad. Based on your knowledge of the industry and what you have seen in the past, make a prediction on what the new year will hold. You might have even heard rumors of what’s to come and have an idea of what to expect. Predict whether this new change will be successful or not or how it will best be used. You could also take this a different direction and give a preview of your business changes in 2014 and ask your readers their predictions on it. Ever wonder how a company came up with their brand? Every business has a brand and how they came to where they are now. Take away the wonder and tell your story. If it’s interesting explain why you came up with the colors that you did, and your vision for your company logo. Let everyone in on the secret to your brand and they will feel like part of the company. Everyone loves a good story. Take time this January to give a purpose to everything you do. Use this as a content idea by involving your readers on what you plan to do to be on purpose that will benefit your clients and customers. Some examples would be to be on purpose in responding to clients more efficiently, making online payments easier, providing resources to them, connecting with them more often on social media, ect… Think of how more productive you would be if everything you did was on purpose and you had followers to support you in this mission.